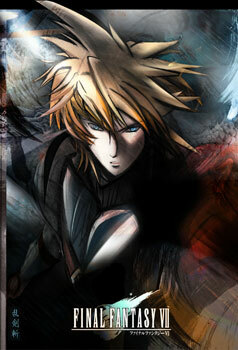 Time for a little Final Fantasy VII Fan Art Update! 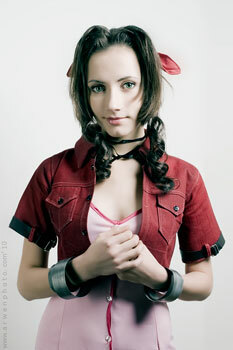 Aerith, Tifa and even Barret Wallace from time to time. 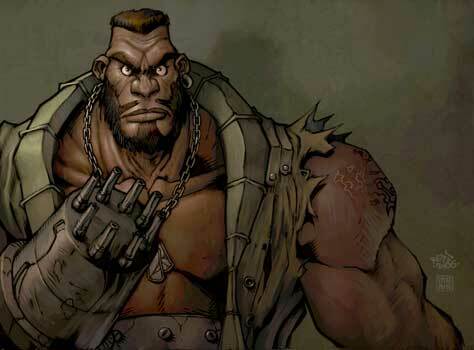 by Fadly Romdhani from Indonesia who is a big Game-Art-HQ Contributor since years! To view the artworks in a bigger size, just click on them as usual. 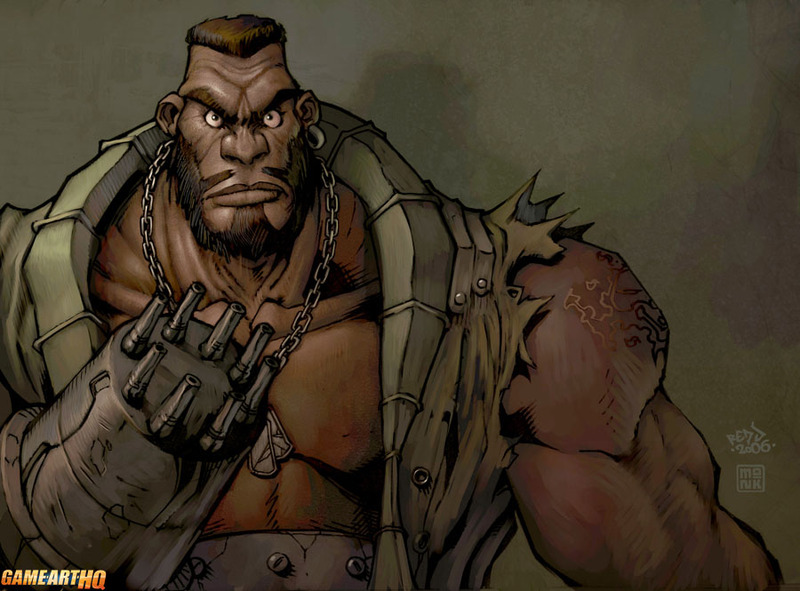 Barret Wallace is proabably the least popular Final Fantasy VII Protagonist together with Cait Sith..both are odrawn really rarely compared with Yuffie, Tifa and Cloud. This fan art by Jon Sommariva from Australia would most likely not exist if it wouldn’t have been requested by a deviantart member from him when Jon reached 50000 hits there and promised to draw an image as a gift to someone who would send him a screenshot with the 50000 views. Cloud Strife is probably one of the most popular male video game characters ever and he is getting drawn by talented artists really often. 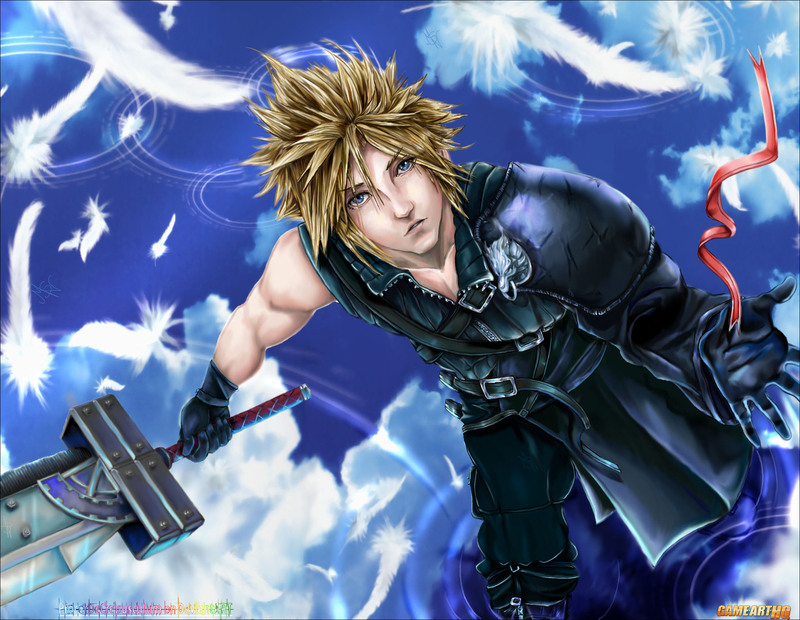 He was illustrated here by Malcolm S. Newton from the USA who is a big Final Fantasy fan like myself and just submitted an awesome entry to our current art contest. 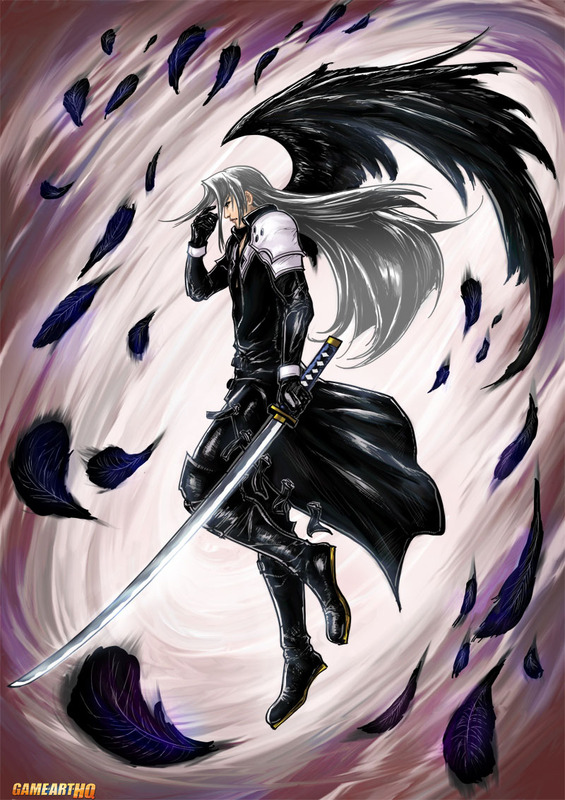 The right illustration in the anime style was drawn by TeamRakenzan who draws also a lot of Sengoku Basara fan art. She also participated in our big Street Fighter Tribute in Summer 2012 with one of the Ken Masters submissions. Narga-Lifestream and Arwen-Photo, a great team from Russia are surprising and impressing the viewers of their cosplay photo shootings since years now. Be it Tira from SoulCalibur, Ada Wong from Resident Evil or here Aerith Gainsborough in her different costumes. 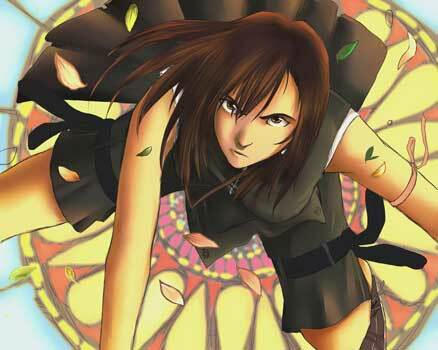 These two are a fantastic team and Narga is like a real-life Aerith on the photos or? Aerith is of course not only cosplayed but also drawn often by a ton of different artists, wonder who will take her for our Final Fantasy Art Tribute we have ongoing. 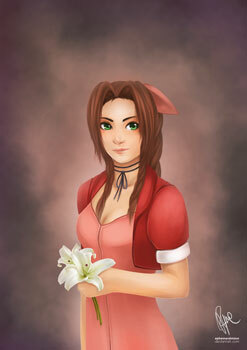 This Aerith was drawn by Ephemeralvision from Indonesia. 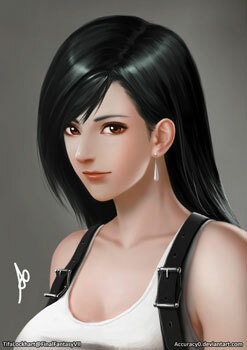 Tifa Lockhart who is the almost opposite character of Aerith in the game is of course a very popular motive for fan art as well and for sure one of the most popular female game characters ever. This beautiful portrait art of her was made by Accuracy0 from Malaysia. As something special for the end..have another two fan arts of Tifa in her pose from the church fight in Final Fantasy VII: Advent Children, drawn by Ticcy from Italy who draws game related fan art super rarely sadly. 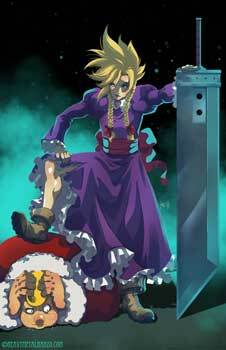 This one was drawn by Hanzo Steinbach, German artist , now working for UDON Entertainment and also a GA-HQ contributor since the big Street Fighter Tribute last year.